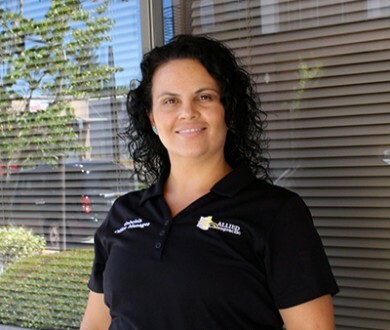 Gabriela Zapien was Allied Chiropractic’s very first employee! She has seen the clinic go through two expansions and impressive growth. She takes pride in our reputation, countless success stories, and contributions that positively impact our community. Gabriela has escalated from a receptionist to the Office Manager, as well as the Radiographic Technician position she holds now. Aside from her responsibilities as the clinic manager, she is also in charge of medical billing, coding, and Accounts Receivable. Excellent customer service is very important to her. For Gabriela, the most fulfilling part of her job is helping someone in need and giving each patient the best possible level of care and assuring we not only treat, but also educate each person that comes to us. In her free time, Gabriela loves exploring the outdoors and the beauty of the Northwest with her family. She teaches Zumba classes as much possible and hosts fundraisers for victims of life-threatening illnesses in the community.